Al Worden, Apollo 15 Astronaut, joins Good Morning Britain to talk about the incredible journey which saw him orbit the moon for six days. "Why is space research and exploration so important?" "That's how I believe our civilization started. An ET got into a little space craft, came to Earth and created us. If you don't believe me, go get books on the ancient Sumerians and see what they had to say about it." Interesting video... thanks for posting! Sumarians... son of a..... why is it everyone believes that sumarians had some great knowledge about aliens, when the same people do not admit that all.. and I do mean ALL of the stories in the bible came from sumaria. To admit to this would mean that Christianity is false because the jewish religion(s) it stemmed from was also false. The Sumerian religion came from others before it which came from others even yet. And the thing is. Nearly every religion known to modern man says something about a being from the sky or "heavens" or "heaven" who created us. And nearly every modern religion today is a result of thousands of years of communication between cultures. And in regards to sumarians, they didn't say aliens. Their texts can easily be twisted into aliens much like how the Mayans "predicted the end of the world" in 2012... still waiting on that one by the way... (and nibiru... waiting on that one too for about 15 years... aaaany day now.. (sense the sarcasm)). That isn't to say that the sumarians weren't contacted... they probably were. And even in South America there are carvings of grey like creatures in walls n stuff like that. But that isn't to say that they had any great wisdom about aliens that has been long forgotten.. I'd have to see the ACTUAL translations of the texts that everyone keeps quoting because they saw ancient aliens on the hysteria channel (check your local listings for show times). In conclusion... ask for the REAL evidence that isn't regurgitated nonsense and make up your own mind. Chances are if you're reading about it here or watching a YouTube video, it's regurgitated. Find the ACTUAL translations of that, and the Indian texts. I wouldn't mind if some of us got together and attempted to find sumarian texts and translations to see what it's really about. Check out the works of Zecharia Sitchin. He's done a lot of the work for you. I totally agree we were created by beings from another world but can we prove it. It's time for us to do something about these groups keeping the truth from us. They have alien tech we need to get alien tech. We need to work together and get the proof real proof. I know for a fact that we are not alone and we descend from genetic manipulation. It's time we as humans stand up and get what's right in front of us. Any sees a ufo crashed flying what ever photo graph document do not contact authorities. We need to create a communication network that cannot be hacked bugged or traced I'm willing to do whatever it takes even risk my life because damnit the world has a right to the truth! Much of these ideas can be found in the book: The gods coming from space, by Mauro Biglino. There he states that planet Earth was visited for certain minerals. 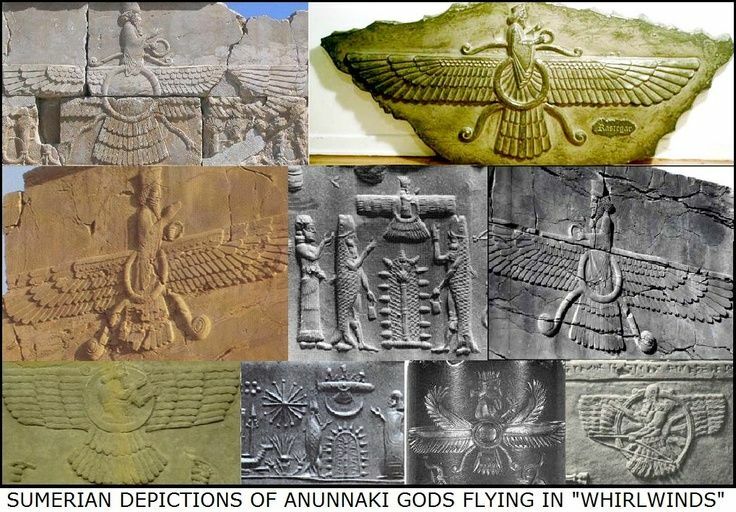 Also, 2 Annunaki princes (or whatever) were given control of this operation, not to interfere with earthly life. However, the 2, often named Enlil and Enki, faced several problems. The extra terrestial labour forces were fed up with mining etc. so one of them decided to alter ape DNA to be able to do the work for them. Eventually sh*t hit the fan, I guess, because they were striclty ordered not to interfere with earthly life. Last edited by Nairb88; 11/03/2018 10:53 AM.